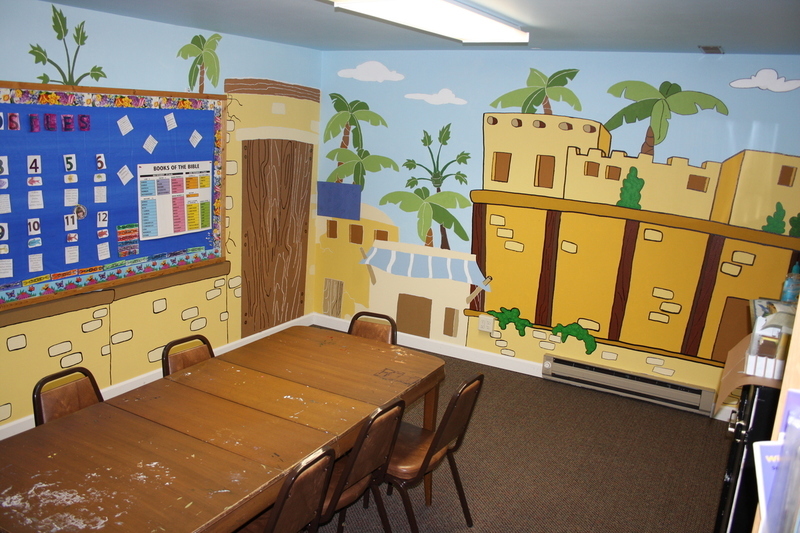 We have Bible classes in rooms with different themes for different age groups. We have our kids "Library Room", "Toddlers Room", "Bistro Room", "Ancient Village Room", and the "David and Goliath Room". The basement is being furnished and designated as an activity/classroom area for teenagers or any other age group needs.